Getting through the Mega Man X games, especially some of the later ones, can be fairly difficult. If you're someone who gets frustrated by one-hit kills, bosses that seem to track you when short-hopping and take out half your lifebar, or infrequent checkpoints, the games can be hair-pullingly tough to play through with a lack of time. Mega Man X Collection is thus introducing Rookie Hunter Mode, a difficulty toggle which can be done per game or for every game in the main menu. In Mega Man X 1-3, the mode simply halves the damage you take. In 4-8, it also prevents you from instantly dying to spikes and bottomless pits. Much like Mega Man Legacy Collection's various modifiers, you can simply choose not to use it if you don't need it. Additionally, the trophy/achievement lists for the collections have come out, hinting at a secret image for players to find. Almost exactly a year ago, Capcom included an image of what turned out to be concept art of Mega Man 11 inside the Mega Man Legacy Collection, so perhaps they are doing something similar again. 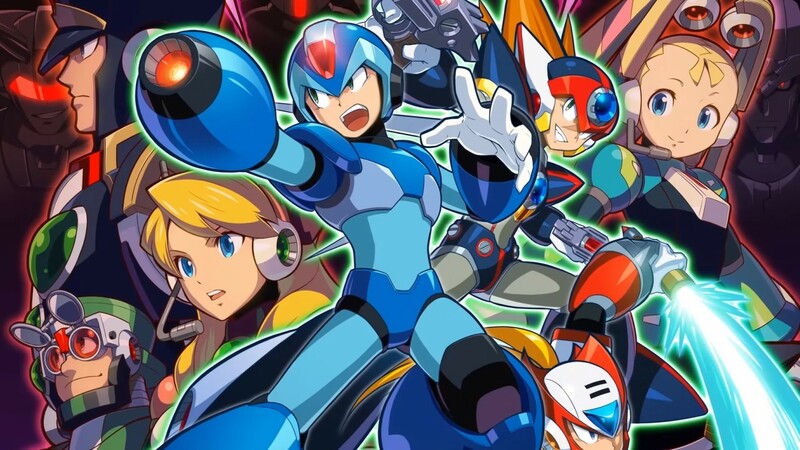 Mega Man X Legacy Collection 1 and 2 launch on PlayStation 4, Xbox One, Switch, and PC on July 24. I don't mind the easy mode, especially if you can toggle it for specific levels and then turn it back off. Some of the later games can get rough with their spike-heavy design, so it's nice to let people just casually play through the series.